We are fully equipped to provide any type of fuel tank install you may need. From propane, to fuel oil, to gasoline, our technicians are ready to help install any size tank, not matter if it is above or underground. 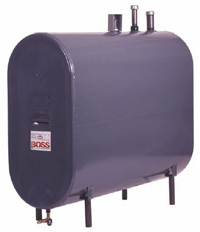 We are also glad to provide (or lease) tanks for local construction teams, small business, or commercial dealers. Don’t hesitate to contact us so we can send a representative out to review your desired tank location at your convenience. IMPORTANT NOTE: Due to regulations, if you currently have a propane tank, it is most likely owned by your current service provider. We are glad to help you switch out your tank free of charge upon becoming a propane customer.